Precision turn-by-turn directions to stores, food court, and more. Improves experiences by making it easier to find information. 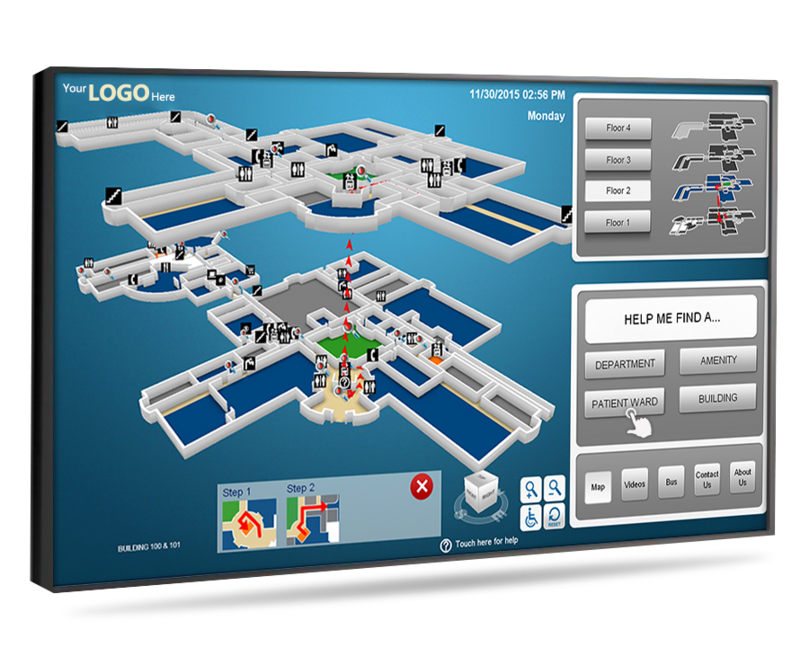 If you are looking for a mall wayfinding digital signage solution, that is highly effective and includes all of the bells and whistles then you’ll love this easy to manage professionally designed system. 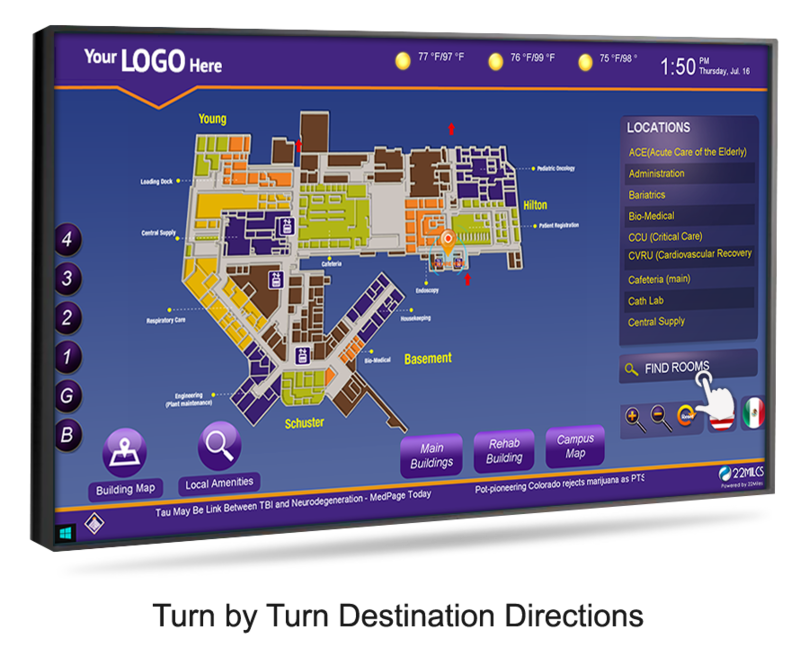 This award-winning digital signage wayfinding solution will enable you to guide guests to specific shops, departments, and floors while improving experiences by providing them instant access to on-demand information. 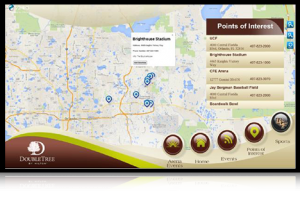 You will be able seamlessly blend your malls branding, facility wayfinding, tenant sales, food court menu, coupons, and 3rd party apps into a compelling, easy to manage, all-in-one visual communications platform. • Built-In keyboard for quick and easy destination is searching. • Directions automatically are generated once a destination is selected. • ‘You Here Icon’ map icon with turn by turn directional arrows. • Directions can be chosen to be sent to a mobile device via text message or email. 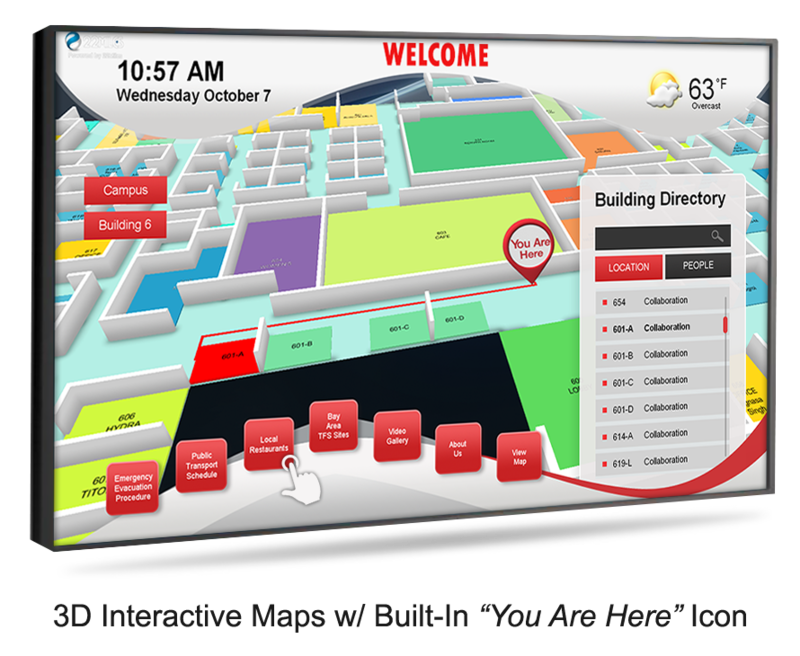 •Plus choose from over 30+ features to enhance your wayfinding system. You will receive an out-of-the-box ready to use solution. 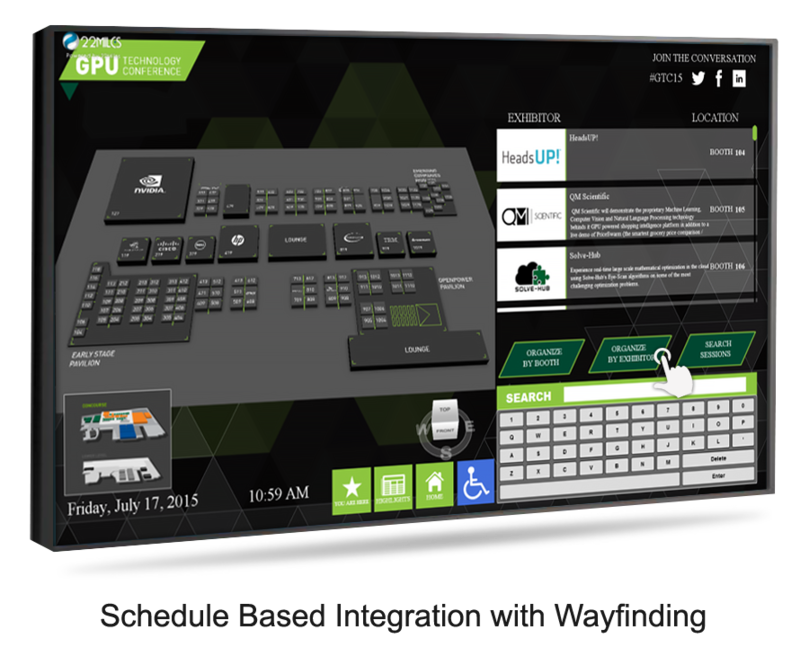 It will ship preloaded with your facility map with directions, custom content, software, and media player. 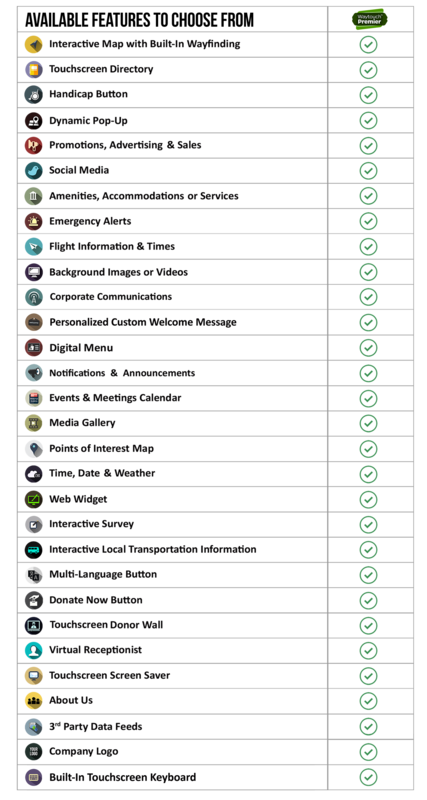 Tell us the features you need then we will custom develop, test and set up everything for you. *Note: additional per floor maps and destination points can be purchased separately. 3. Connect the Waytouch Premier™ Media Player to your display or kiosk and WI-FI. • Provide information and directions to local area attractions. 3. Who and how do the maps get built? We will handle the complete creation of maps. •	To create the maps we just a list of destinations and an image or CAD drawing of your facility map. •	Our design team will handle the rest! 4. How easy is the system to set up and use? Every Waytouch Premier™ solution is user-friendly and non-technical. 5. Will you train my staff and me? 6. What type of technical support and customer service is included? 7. How easy is it for me to change my digital directory or menu board information? 8. What are the Hidden Costs? 9. Is this system scalable? 10. What is the Cost of Management & Maintenance? 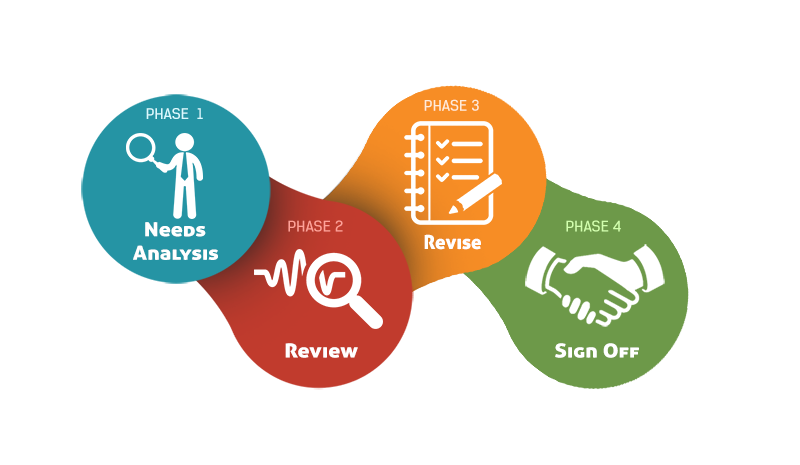 11.What consists of the 4 Phase Design Process?